Innumerable internal and external factors may lead to some of the common skin problems, gaining an insight into them will help you to manage as well as protect skin in a better way. 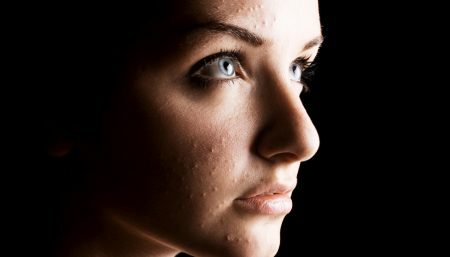 Acne and non-cancerous growth such as, moles and warts are some of the most common skin problems. Skin problems affect each and everyone of us so knowing how to counter these irritations is both important and smart. The types of care can range from something as common as sunscreen and creams to something more complex like a professional microdermabrasion machine. Either way knowing more about what causes the irritation and then how to ease the pain and frustration can make a significant difference in a person’s life. Our Skin has its own protective mechanism against sunlight. When it is exposed to the rays of the sun, the pigment in the skin increases in order to protect the inner layer of the skin. The skin tends to tan due to repeated exposure to the sun especially for long durations. In fair skins, there is an accumulation of pigment in the lower layers, which gets gradually destroyed, as it is transferred to the upper layers. Due to continued exposure, the fair skin acquires freckles, which are accumulation of pigments in areas that have little or no pigment. Freckles are tiny black spots spread all over the face. 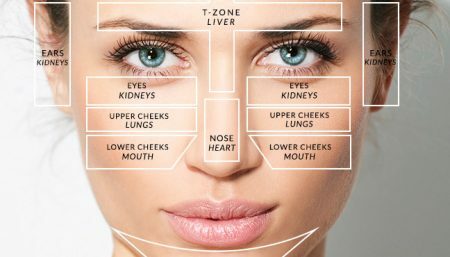 They tend to appear more on the areas-like the nose, cheek bones and forehead. (A) Avoid excessive exposure to sun. (B) Use a Sunscreen whenever you move out in the sun with SPF of 15 or higher. Although they do not need to be treated, but as some women find them unattractive they might choose to have them lightened by bleaching or removed by freezing (cryotherapy) or laser therapy(treatment using high energy beams of light). In rare cases, they may be early changes that could lead to most serious form of skin cancer, malignant melanoma. These are caused by the accumulation of hardened sebum or oil in the pores of the skin. They tend to appear in form of tiny, pearly, white raised spots. It occurs when a plug of sebum blocks a hair follicledeeper in the skin. 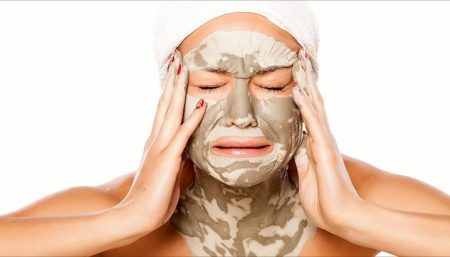 (A) Regular deep pore cleansing helps to discourages whiteheads: A mixture of beauty grains and skin tonic rubbed on the affected areas, will discourage the formation and also help to dislodge them after a period of time. (B) They should never be removed forcibly. Forcible extraction will only damage the skin tissue and cause infection. (C) Consult a doctors. He or she might prescribe a medicated, cream or gel effective for preventing whiteheads. (D) Aim at consuming adequate amount of fruits and vegetables in your daily diet. (E) Drink plenty of water and fresh fruit juices. A glass of warm water with the juice of lemon, helps to cleanse the body of toxic residues and help the elimination of wastes. A blackhead results when dead skin cells and sebum block a hair follicle near the surface of the skin. The mixture of pigment (the protein that gives skin its color) from the dead skin cells and sebum makes a blackhead dark; it is not dirt that can be washed away. The oily skin tends to attract more grime and dirt from the environment and these pollutants also collect in the pore with the hardened oil. Blackhead causes the pores to be further enlarged and women with oily skin end up with a skin texture that is course and rough. They are the cause of acne. When a pore is fully blocked, the oil glands can get infected resulting in apimple. (A) Wash the face with a medicated soap and lukewarm water to reduce the oiliness of the skin surface, so as to eliminate chances of infection. (B) Rinsing with plain water as often as possible will keep the skin free of environmental pollutants. (C) Washing must be followed by a more thorough cleansing to dislodge hardened sebum and keep the pores clean. (D) Do not use oil-based moisturizers especially on the blemished area. (E) Blackheads should be treated only by a doctor to avoid infection or scaring. 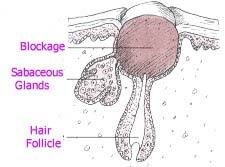 He or she will squeeze out the plug of sebum and dead skin cells from the blocked hair follicle using instruments that will not harm your skin. The over activity of the sebaceous glands usually results in skin with enlarged pores. Excessive oil secretion by the glands causes the pores to get clogged. The pores are thus stretched to accommodate the hardened sebum and lose their natural resilience. This excessive secretion of oil, might thicken the pores and mar the porcelain quality of skin, leaving the skin coarse. (A) Use a medicated cleanser to reduce the surface oil. Deep pore cleansing with specialized cleanser also helps. (B) The skin should be toned daily- toning removes greasiness remaining from the skin, closes pores, refines the skin and provides it a smooth clean texture. Skin tonics are generally composed of infusions of herbs, flowers, vinegar, rose-water and witch-hazel. A skin tonic with a rose base is excellent. Keep some in a bowl in the refrigerator. Soak cotton wool pads and pat the skin briskly with it after a cleansing routine. Warts are small firm flesh colored lumps that can appear anywhere on the skin, but most often they occur on the hands and feet. They are caused by a virus that infects the skin cells, making them grow rapidly. As they are contagious, you should avoid touching warts on someone else’s skin. If you have warts, keep them from coming in contact with someone else’s skin. Warts may go away on their own within about 2 yrs, or you may be able to dissolve with an over the counter mediation. Consult you doctor regarding dissolving or removal of wart. If the wart fails to dissolve through strong medication, he or she might remove it by cutting, freezing or burning it or by laser surgery(treatment using high-energy beams of light to destroy tissues). Skin tags are small, protruding flaps of skin that usually appear on the neck, armpits, upper trunk or in folds of skin, such as those under the breast. Skin tags are small and may be of the same color as your skin or dark like a mole. They are common and usually appear after the age of 20 yrs, They are harmless, but might be irritated by friction. Consult your doctor if you feel a need to remove or cutting of skin tags or burning it. People rarely have a scar after either of the treatments. These are generally caused by lack of sleep, fatigue, stress, dietary deficiency or disease. Proper sleep is vital bright, shining eyes. Eight hours of sleep is a must. Avoid extra strain on the eyes by reading only in good light and by making sure that you can see properly before undertaking work like sewing or writing. The skin around the eye is very delicate. A medical support will help you in adopting a daily care routine. Before going to be, clean the skin around the eyes with a moist cotton wool. Whichever product you decide to use must be very light in texture. Almond helps to remove dark circles, and is an excellent “skin food”. Remove the cream applied around the eye after 10 min. No cream should be left on the skin around the eyes for long periods. (A) Grate half cucumber, strain it and refrigerate. Dab a mixture of lemon juice, lanolin cream and cucumber juice around the eye for 10 minutes and then wipe off. (B) Apply crushed mint around the eye. This will take away the darkness around the eye. The bumpy, puckered and dimpled irregularities of fat collection which occurs over many women’s buttocks, hips and thighs are called cellulite. These areas are often the first to attract fat and the last to lose it. A mesh of collagen fibers hold the fat under the skin. The bumps, dimples and accompanying shadows of cellulite are simply the fat pushing out of the holes in the mesh. The amount of fat must be reduced. The supporting muscles must be toned up. The surroundings and intertwining protein mesh work needs to be altered. Although cellulite is difficult to get rid off completely, a proper diet will reduce the fat, exercise will tone the underlying muscles and vigorous massaging will drown the protein mesh work and the fat stores, helping to improve the appearance of this condition. Unfortunately there is no long term solution to cellulite. From a medical standpoint, topical Aminophylline cream has been helpful for some people. The preparation is applied to the affected area twice a day to reduce cellulite in some people. Aminophylline cream is available only through medical prescription so do not go out searching in the local chemist shops. Maintaining lower fat stores, with a well balanced low fat diet. Avoid foods that encourage deep fluid retention, such as too much salt in the diet, and too many diet drinks. Tone the muscles with daily buttocks, thigh and hip exercises, so that the fat cushion is sitting on a firm base. Exercise like vigorous walking, swimming and cycling are particularly helpful. Vigorous massaging the areas of cellulite for 10 min each day to break down the fibrous mesh and the larger fat globules. Applying hot water bottle or heating pads to the area prior to vigorous manipulating the area by aggressive fudo chops will help, but care must be taken not to overheat and burn the skin. The hot massage must be followed with an icepack. If this fails to work and you are desperate, a combination of surgical liposuction to remove the fat from the bulges and fat transfer to place the fat in the dimples may even out the irregularities and permanently remove some of the fat stores. Known medically as Striae, are the visible evidence that the skin’s building blocks (collagen and elastin) could not keep up with its need for growth. Stretch marks are formed when the skin stretches at a rate that cannot be sustained by its elasticity. They may appear after rapid weight gain ,spurts of growth andpregnancy. The development of breasts in adolescent girls and bulking up of muscles in weight lifters can also cause stretch marks. Infact, anything that increases the body’s cortisone levels, as in case of puberty, obesity or weight gain, the infection of cortisone medications or even the application of potent cortisone creams will increase the chances of developing stretch marks. They initially appear as red or purple lines of varying length or widths. Sometimes they are wrinkled andshiny. Gradually they fade to a shade lighter than the surrounding skin. Women are more prone to stretch marks appearing on the breasts, lower abdomen, the buttocks and thighs. Many techniques currently being used to reduce or eliminate stretch marks, are not yet refined and require further research and exploration. 1. 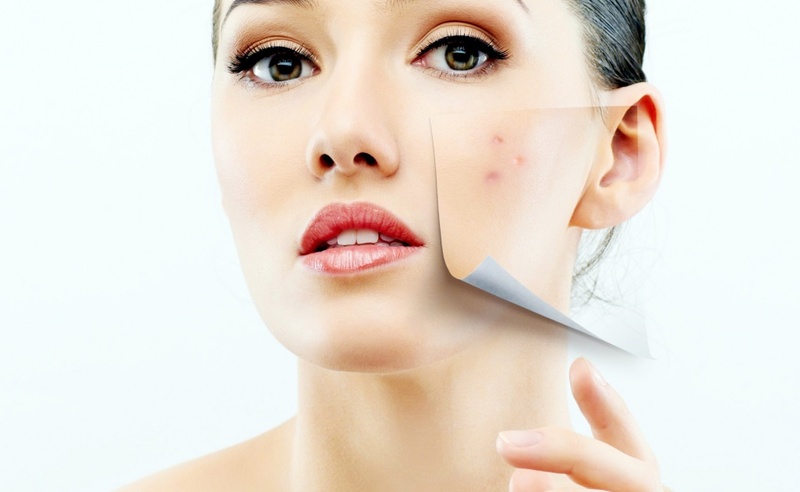 The use of tretinoin has proven to be the most effective treatment to date. Tretinoin in form of Retisol-A, Retin-A, Stieva-A, Rejuva-A, Renova or Vitamin A acid applied to stretch mark in high doses can cause a realignment of the collagen in the skin. To be effective, tretinoin must be applied in high doses, no less than 0.1% per day for a period of 12 weeks. The area becomes, very irritated dry and itchy. This reaction is important to the success of the treatment and must not be interfered by using moisturizing creams, or mild cortisone creams to ease discomfort. Stretch marks that have developed recently are more receptive to treatment with tretinoin than stretch marks which have been around for a while. 2. The next best treatment is to resurface the stretch marks with the carbon dioxide laser. This causes a reorganization of the collagen architecture in the skin. Overly aggressive treatment can also result in scaring and irregular pigmentation. 3. In some cases the vascular removal laser may help to improve the look of stretch marks. 4. Another option is the use of injectable collagen. Zyplast collagen can be injected and molded into the depressed and thinned area of the stretch marks. The results are variable and not permanent and the amount of collagen that will be required to fill large areas of stretch marks would be very costly. 5. Linear surgical excision may help to select instances where a fine white scar would be preferable to unsightly stretch marks. 6. Opaque cosmetics, such as cover mark and derma blend may be used to camouflage visible stretch marks if they are particularly troublesome. All these treatment options need to be discussed by you with a dermatologist before choosing any of the treatment options.